Mongolia inspired numerous writers and film-makers, of Mongol origin or not. The director Byambasuren Davaa contributed to popularize certain aspects of the Mongolian culture. The Story of the Weeping Camel, by Byambasuren Davaa (2003) - nominated for the Academy Awards. In Mongolia, the production of movies is very dynamic, supported in particular by the large number of chaines of television by comparison with the low density of population of the country. 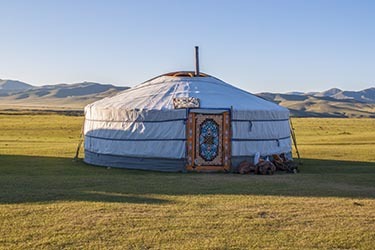 These movies concern essentially the striking facts of the history of Mongolia, or tell fictionalized stories taking place in the steppe and describing the Mongolian traditional lifestyle.